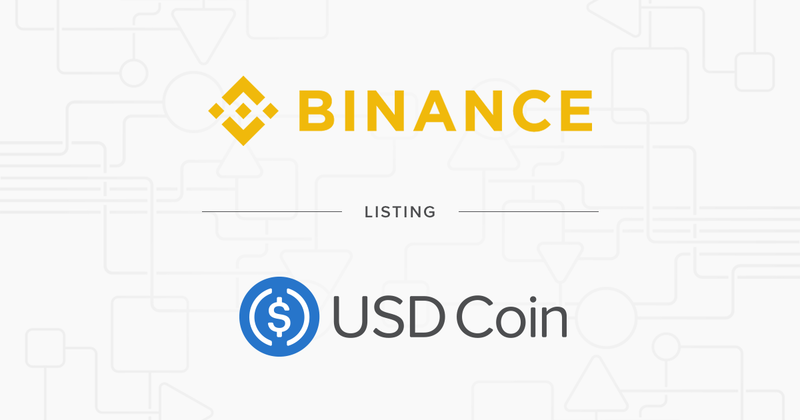 Today Binance, one of the world’s largest crypto exchanges, announced it will list USDC. Binance has opened deposits for USDC and trading for USDC/BTC and USDC/BNB pairs will begin on Friday, November 16 at 10:00 PM EST. In the few months since it was launched, USDC has seen widespread adoption across the crypto ecosystem and is available globally on exchanges representing tens of billions of dollars in trading volume. The circulating supply of USDC is now more than $148 million and more than 50 exchanges, protocols, platforms, applications and wallets now support USDC. You can see more USDC supporters here. Circle and Coinbase are confident that interest in USDC will continue to grow, bolstered by a desire for a more transparent and compliant USD token from market participants. Circle and Coinbase co-founded the CENTRE Consortium with the goal of establishing a standard for fiat on the internet and providing a governance framework and network for the global, mainstream adoption of fiat stablecoins. Customers can tokenize dollars into USDC and redeem USDC into dollars through both Circle and Coinbase, making USDC the industry’s first open, fungible and interoperable fiat stablecoin.